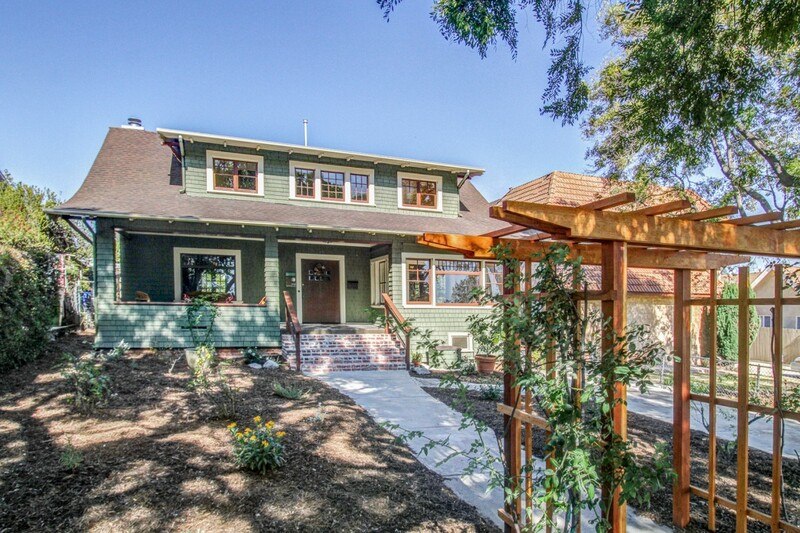 This custom-built Altadena home nestled in the quiet foothills will have you saying, "wow." Featuring the open floor plan everyone is looking for, this tastefully designed home offers 3 bedrooms, 3 baths, a gourmet kitchen open to the great room, and a backyard that goes on forever. Park on the ample driveway and walk through the beautiful landscape to the 8’ hand-forged iron double doors. Just inside, a welcoming entry leads to a large, natural light-filled great room that has built-in-ceiling surround-sound speakers and a gas fireplace. 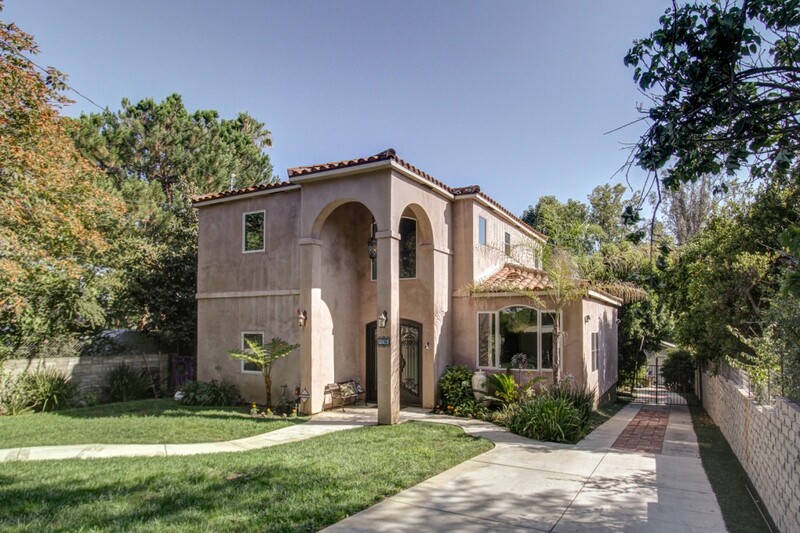 It's said that your home is your castle, and at this Eagle Rock home you even have the turret! This sweet 1928 character home has so much to offer a buyer starting out or even downsizing. Lots of original details like the hardwood floors, the hexagonal reading nook, two spacious bedrooms and a charming living room with art deco-style cutouts framing the door to the formal dining room. 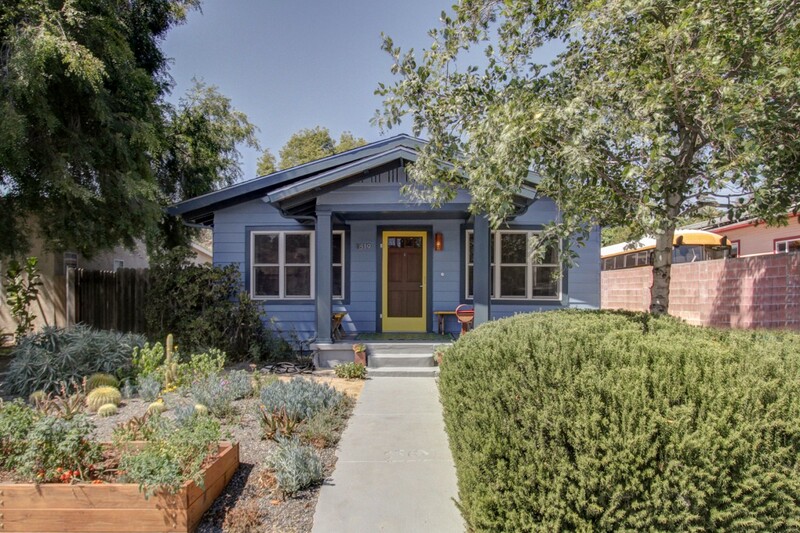 The Eagle Rock real estate market is filled with charming bungalows, and this one is a real treat to see. Walk on into this sweet little 1924 bungalow past the drought-tolerant landscape and you will find yourself in a "Dwell" contemporary designed and built by the current owner/architect in 2012. The front room flows into the open kitchen with orange tile backsplash making a colorful accent to the open, calm, Zen-inspired interior. The kitchen opens to a 2-story open family/dining room with loft and the perfect California life-style design that opens to a large redwood deck for your al fresco dinner party. Atomic Ranch enthusiasts alert! A rare opportunity in the La Crescenta real estate world - this classic 1960 4-bedroom ranch home is almost entirely original. 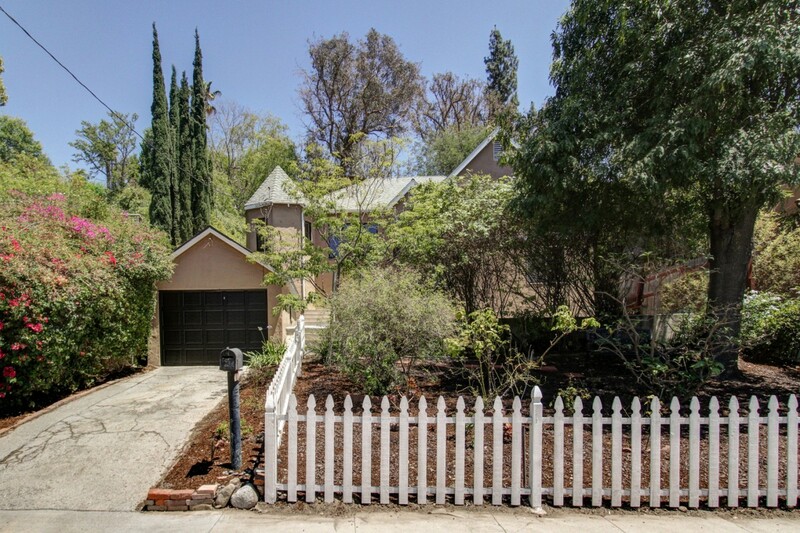 It offers a unique opportunity to live in a spacious one-story ranch on over a half acre lot (with a 4-car garage) in one of the best neighborhoods in La Crescenta. Wow! 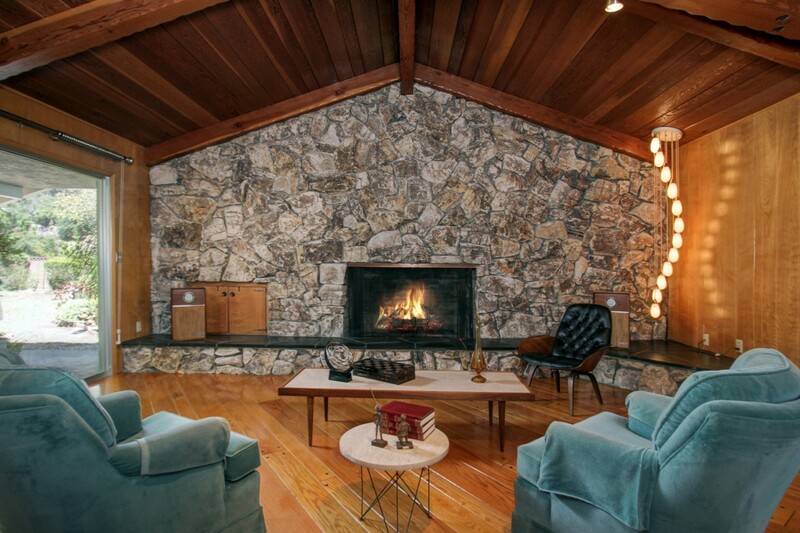 The true soul of this ranch for mid-century aficionados is the fantastic wood-panelled family/dining room with its vaulted ceiling, fireplace wall of Palos Verdes stone, and cascade of period appropriate lights suspended from one side. This vast room, which has 3 distinct areas, extends from the front of the house to the back. In 1910, Craftsman homes began to dot the hilly farmland that was soon to be the City of Eagle Rock. This fine example of the style has been blessed with owners who have maintained it well and improved it with respect for its heritage. Today, you can admire the freshly refinished original hardwood floors, hang out on the wide front porch that has been rebuilt and refurbished to seem just like the original only sturdier.